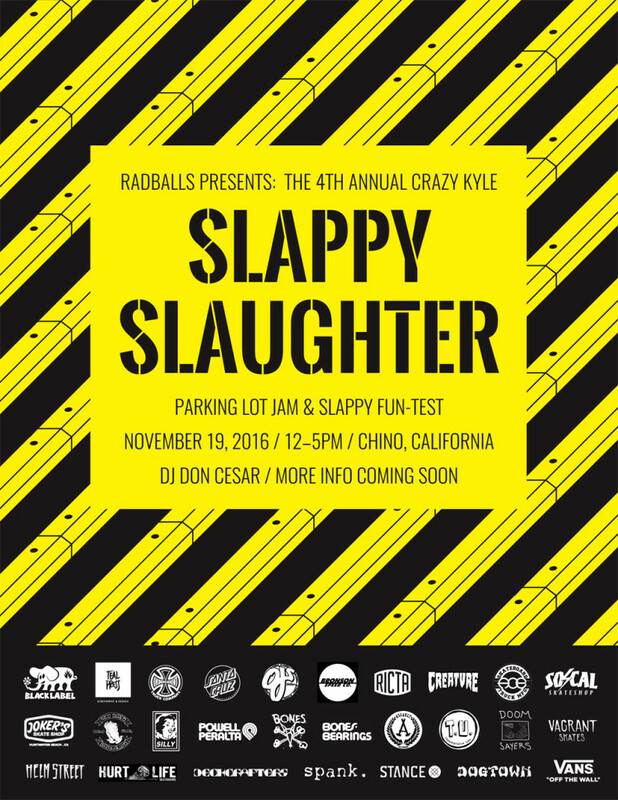 The 4th Annual Crazy Kyle Slappy Slaughter is tomorrow in Chino, CA! We are changing it up a bit this year, so follow @radballs in Instagram for more info and location details. See you there!